A former member of the Teamsters Union, author R. M. Smith writes how she discovered the union she believed in did not exist. Instead, she found groups that were more consumed with their own power than protecting the members they claimed to serve. Union Hypocrisy is a revealing look into the motives and politics that flow through today’s unions. Smith provides numerous examples of how unions rally against corporations for anti-worker policies they themselves utilize. She also creates a compelling case that indicates they prevent their own staff from unionizing, but condemn companies like Walmart for doing the same. I approached Union Hypocrisy with a bit of bias. While unions were vital in fighting for workers’ rights when they began, now they have become one part of a huge broken political system that has failed the middle class time and again. The little guy has been squeezed out of the game by a rich elite who can “buy” what it needs, all the while trying to convince the rest of us that they have our best interests at heart. Much of what Smith discusses didn’t come as a shock. You can tell by the details she provides, the quoted material, and the works cited in the References section that she knows what she’s talking about and has performed additional research to back up her arguments. While the decision to resort to name calling in the book and the use of certain colorful words did not win me over, one can’t deny the experience and knowledge the author brings to the table. For some, including myself, the shock comes when certain celebrity names and politicians are mentioned as not being union-friendly when one would assume they are. That was the most interesting aspect of the book for me. 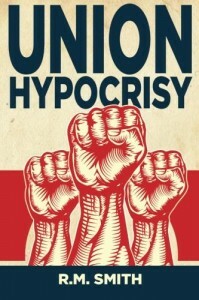 I definitely felt Union Hypocrisy was an eye-opener from that perspective. I won’t reveal those names, since I feel it’s worth checking out the book for those sections alone. Those following current events and politics would be interested in this book. I received a free copy of this book from the author through Pump Up Your Book. This review contains my honest opinions, for which I have not been compensated in any way. Once I was involved in a business partnership with a talented and seasoned salesperson. Often we teased my partner he was so good at what he did he could sell all the swampland in Florida. The man knew he was good at his trade and reveled in all the tricks he learned to perfect his pitch. Oddly enough, whenever a salesperson came to our office to pitch a product, my partner, so knowledgeable of his craft, easily succumbed to the tricks of his trade. He was always the first to sign on the dotted line. I could never understand that. After reading, United In Hate, The Left’s Romance with Tyranny and Terror, by author Jamie Glazov, I’m beginning to grasp an understanding on the phenomena of such thinking. I understand a little more how certain individuals, or entire groups, can be so close to something they cannot recognize when the tricks of the trade are being used against them. In the case of the Left, as Glazov points out from his opening chapter, it’s as if the “believer” is so close to knowing what they hate, they somehow fall in love with it. It’s just a matter of how the cause is packaged and sold to them. As Glazov candidly points out, when it comes to the Left, Castro could easily be replaced by the likes of Lenin, Stalin, Pol Pot, Pham Van Dong, Mao Tse Tung, Ayatollah Khomeini, Osama Bin Laden, and the newest darling of the Left, the world’s most charming homophobe, Mahmoud Ahmadinejad. These are their heroes, their leftist idols. It doesn’t matter that their heroes represent and encompass all that the Left hates. The Left is easily sold, easily caught up in the imagery and mystique, easy marks for despot trickery whenever one of their intellectuals arrives in the country of their autocratic friend. All a dictator has to do is clean up a town, dress up the townsfolk in totalitarian wear, and threaten the lives of the people if they don’t look happy while the conspicuous visitor is in town. Wow. How many times does that trick have to be done before the Left catches on? Yet you wonder how did Susan Sontag, Mary McCarthy, Walter Duranty, George Bernard Shaw, Sean Penn, Harry Belafonte, Jane Fonda, Ernest Hemingway, Danny Glover, and a host of other western intellectuals or entertainers fall for the same scheme? What’s worse is their glowing testimonials after their visits. It’s as if these great thinkers or performers go back to high school to write of their first love. I was squeamish and embarrassed reading the passages Glazov used to illustrate and drive his point home. Unless you are stupid, or love struck, how could all the monsters of tyranny possess such sweet and unassuming qualities as reported by the Left? Does anyone still remember the 1981 film, “Reds”, by Warren Beatty? What a perfect example of what Glazov speaks of. Back then, as a student, I wanted to puke over the manufactured sentiment over the flick, a film many of Beatty’s associates were hailing as a masterpiece. In the most overused scene in cinematic history, Jack Reed, the protagonist prepares a meal for the married woman he loves and stole from an American capitalist. In the scene, the water in the pots boils over, smoke billows from the oven, and Reed clumsily trips around the kitchen as the romantic little communist nervously tries to prepare a meal for his girlfriend. Geez Warren. That’s an original and uncontrived scene! Such masterful film making is certainly deserving of an Oscar. Even then I thought, is Beatty willing to give up his glamorous American Hollywood life for the meager lifestyle of the Russian peasant? It certainly appeared from the point of view of the film he was selling the Soviet or Bolshevik way of life. History has certainly proven Beatty’s romance to be false and has certainly proven he was easily sold by his leftist comrades. Glazov’s well thought out and carefully sculpted narrative of our times is an in-your-face expose on the hypocrisy of the Left. Glazov will take a lot of heat for what he reveals but he seems like a man with broad shoulders ready to take on the burden of a good fight. He’s professional in his presentation and his arguments are clean and succinct. Based on what he’s written, there’s little doubt in my mind that if an alien ship arrived in America, most of our Leftists, from Springsteen to Spielberg, would beg to be taken away. After paying homage to our captors, and after paying their way to the front of the lines, they would get on their knees, with their arms stretched out in the direction of the sinister ship. Then they would chant, “Free us from our freedom! Free us from our freedom” over and over, hoping to be heard. Unable to stop themselves, and always desperate for attention, our Leftist friends would continue to chant while boarding the ship, knowing they could never return, and knowing a life of darkness would be all they would ever know again. In this engaging and informative book, author Reb Bradley discusses how the future of America is threatened by adults “stuck in their ‘terrible twos'”. 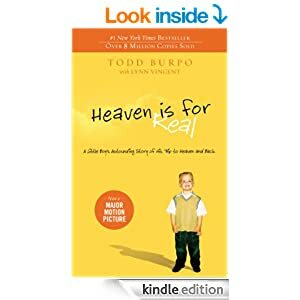 Based upon Bradley’s personal experience as a pastor and counselor, in addition to a wealth of research, the author provides a sound argument that America’s moral decline is the result of overindulgent parents not providing their children with the self-control they need to become successful members of society. Bradley contends that parents who overindulge their children, fix all their problems, and refuse to allow their children to experience the consequences of their actions, foster young people who become adults who feel entitled to have everything they want and cannot accept life’s disappointments. The author states that we are born with certain tendancies: a desire for self-gratification, lack of self-control, and subordination to our emotions. And it is these traits that parents must consistently help their children rein in if they are ever going to escape feelings of entitlement and the desire to always play the victim and avoid blame. Bradley also goes on to state that “magical thinking”, unchecked emotion, and an inability to deny yourself anything are traits that are “the very hallmark of liberalism”. Misplaced liberal compassion creates problems in America; it doesn’t fix them.